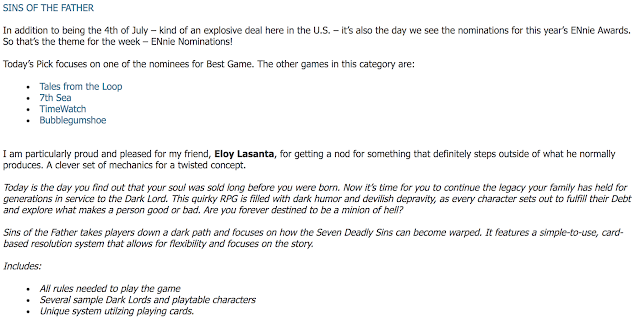 Tenkar's Tavern: Should ENWorld be Endorsing Ennie Nominations? I don't know... I mean. Every award I know in the industry (not just the RPG ones, even the Essen Spiele Game of the Year...) have some big Gremlin. Be it something like this, or a juror who is ALSO an author for one of the publishers running for the award, or... Well. I've seen things. Maybe we should just run polls for the awards. That, in the specific, I haven't seen. But usually, "poll for the award" means that the strongest community, not the best game, wins. I think the OSR needs its own award... very badly. If I have to get involved in order to see this happen, I will. Despite being busier than a flea with three dogs! 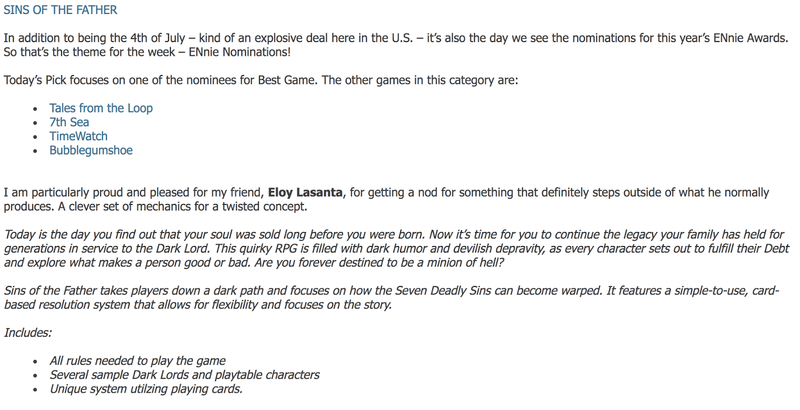 I think the OSR should be a category for the Origin Awards. Don't forget how close Sean is with with Gareth Skarka. Sigh, when will ENworld and the ENnies just go away... the site and the awards are a shame, just there to boost the ego of Morris..